How much do you know about the condition of your roof? If you’re unsure about the condition of your roof, or you’re preparing to buy a property which hasn’t had a roof inspection done, it makes financial sense to have an expert carry out a detailed assessment of it. Our trade-accredited roofers are all qualified to carry out surveys of all types of roofs. Whether it’s a residential or commercial property we can help. The cost of replacing a roof is something that most property owners want to budget for well in advance. The findings and recommendations of a roof survey will allow for smaller issues to be fixed and prevent them from becoming much larger problems further in the future. This pro-active approach could help you avoid storm damage and associated emergency repair work. It might also help you to negotiate on the purchase price of the property that’s in need of roof repairs. A pre-purchase roof inspection survey costs £250.00 (excl. VAT). We can answer any questions you have and schedule a visit by one of our roofing experts. Call us today! 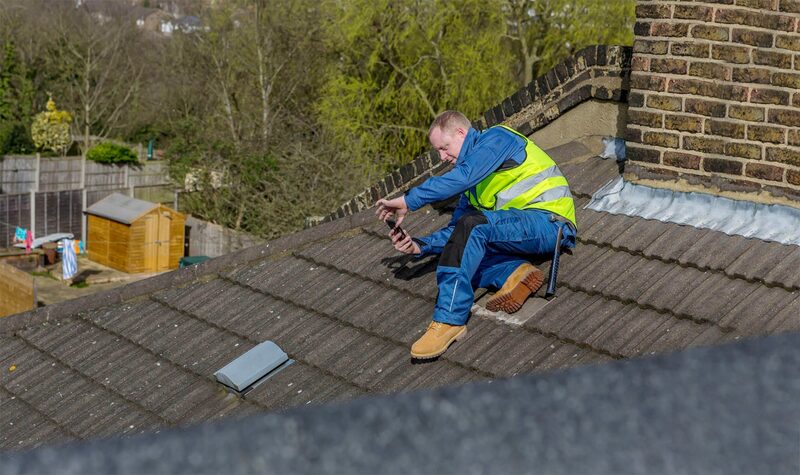 The visual inspection of a roof by one of our trade-accredited roofers will take approximately two hours to complete. Following the inspection we’ll provide you with a detailed report supported with photos. Finally, a quote for any recommended work will be provided.